With 550+ members and over 50 events annually, members have more opportunities to make connections that matter. Expand your reach by tagging and sharing the Chamber's popular social media channels. With a diversified membership and strategic liaisons, the Chamber is ready to advocate on issues that matter to our membership. 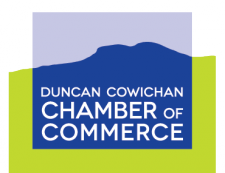 The Chamber books expert presenters from across BC to provide information and resources. Regular seminars and development workshops cover practical skills that help businesses achieve success.